After more than 30 years in the trenches of the criminal justice system the most perplexing thing I can attest to is why citizens would ever give up their constitutional rights under the 4th 5th and 6th Amendments. Almost invariably, citizens bury themselves by waiving these critical rights. DO NOT EVER CONSENT to an interrogation by the police. Why would you thumb your noses at the Bill of Rights, which gives you the right against self-incrimination? (5th) If the police need to “interview” you, that means they are lacking information to prosecute. DO NOT EVER CONSENT to waive your right to a lawyer. Why would you thumb your noses at the Bill of Rights, which gives you the right to a lawyer’s advice when confronted by the government? (6th). You should state that you are not consenting to any search, not answering any questions, and demand legal counsel if you are arrested. Let the chips fall from there. These rights under the Constitution were written for your benefit, to protect your rights! 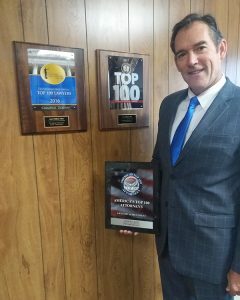 For the third consecutive year, Jack W. Cline has received the TOP 100 Trial Lawyer award for Criminal Defense in Pennsylvania. 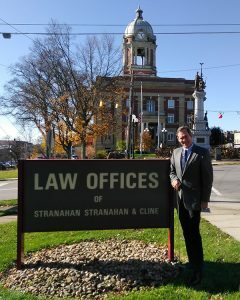 Attorney Cline also received a “Lifetime Achievement Award” for his accomplishments and high ethical standards. Less than ½ of 1 percent of all lawyers ever receive this award.